251 : Emgann Abrittus. Trec'het ar C'hoted gant ar Romaned. Lazhet an impalaered Decius ha Herennius Etruscus. 1097 : Emgann Dorylaeum. Ar groazidi bleiniet gant Bohemond a dTaranto a drec'h lu SeljukQuirlich Arslan I. 1650 : an niverenn gentañ eus an Einkommende Zeitungen, ur gazetenn alamanek, a zeu er-maez. 1690 : Emgann ar Boyne en deiziadur julianek. 1718 : bodet Stadoù Breizh e Dinan ; asantiñ a reont votiñ en erbed ar roadenn digoust (2 vilion a lurioù). 1782 : Morbreizherien amerikan a argas Lunenburg e Skos Nevez. diazezidigezh al Levrd Stad bro-Rusia. Emgann Malvern Hill e-pad Brezel diabarzh Stadoù-Unanet Amerika. 1907 : astennet eo al linenn hent-houarn Brest-Lesneven betek Kastell-Paol. 1916 : deiz kentañ Emgann ar Somme. 1921 : diazezidigezh Strollad Komunour Sina. 1941 : tailhet eo ar bara da 300 g an deiz. 1942 : tailhet eo ar bara da 275 g an deiz. 1944 : annezañ a ra Roparz Hemon e Roazhon. 1960 : diskleriet eo Republik Ghana. 1965 : lakaet eo linenn hent-houarn Laval-Roazhon dre dredan. 2017 : digoridigezh al linennoù tizh bras (LTB) Pariz-Roazhon ha Pariz-Bourdel. 1904 : digoradur an trede C'hoarioù Olimpek hañv e Saint Louis (Stadoù Unanet). 1920 : 3de tennad-hent Tro Bro-C'hall etre Cherbourg (Manche) ha Brest ; trec'h eo Henri Pélissier. 1922 : loc'hañ a ra 4re tennad-hent Tro Bro-C'hall eus Brest war-du Les Sables-d'Olonne (Vañde). 1931 : 2l tennad-hent Tro Bro-C'hall etre Caen (Calvados) ha Dinan ; trec'h eo Max Bulla (Aostria). 1948 : 2l tennad-hent Tro Bro-C'hall etre Trouville-sur-Mer (Calvados) ha Dinarzh ; trec'h eo Vincenzo Rossello (Italia). 1958 : 6vet tennad-hent Tro Bro-C'hall etre Caen (Calvados) ha Sant-Brieg ; trec'h eo Martin Van Geneugden (Belgia). 1959 : loc'hañ a ra 7vet tennad-hent Tro Bro-C'hall eus Naoned war-du Ar Roc'hell (Charente-Maritime). 1960 : 6vet tennad-hent Tro Bro-C'hall etre Sant-Maloù hag An Oriant ; trec'h eo Roger Rivière. 1962 : loc'hañ a ra 8vet tennad-hent Tro Bro-C'hall eus Sant-Nazer war-du Luçon (Vañde). 1967 : loc'hañ a ra 2l tennad-hent Tro Bro-C'hall eus Sant-Maloù war-du Caen (Calvados). 1974 : loc'hañ a ra 4re tennad-hent Tro Bro-C'hall eus Sant-Maloù war-du Caen (Calvados). 1985 : 3de tennad-hent Tro Bro-C'hall etre Gwitreg ha Felger (a-benn d'an eur dre skipailh) ; trec'h eo La Vie Claire. 1995 : dalc'het eo rakredadeg Tro Bro-C'hall e Sant-Brieg (a-benn d'an eur) ; trec'h eo Jacky Durand. 2012 : skipailh spagnol ar vell-droad (paotred), a ya da gampion Europa e Kyiv (Ukraina) goude bezañ aet da gampion ar bed e 2010 ha da gampion Europa e 2008 dija. 2017 : loc'hañ a ra Tro Bro-C'hall war varc'h-houarn 2017 eus Düsseldorf (stad Nordrhein-Westfalen, Alamagn). 1481 : Kristian II, roue Danmark. 1534 : Frederik II, roue Danmark. 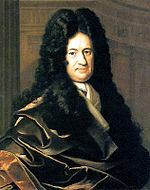 1646 : Gottfried Wilhelm Leibniz, jedoniour ha prederour alaman. 1804 : George Sand, skrivagnerez c'hall. 1862 : Stephenson Robert Clarke, ofiser er British Army, beajour, chaseour jiboez bras, louzawour ha naturour breizhveuriat. 1866 : Louis Paul Maulion, senedour ar Mor-Bihan, e Poitiers. 1872 : Louis Blériot, nijer ha savour kirri-nij. 1900 : Jean-Marie Louvel, politikour norman. 1916 : Olivia de Havilland, aktourez stadunanat-saoz. 1961 : Diana Frances Spencer (Lady Di he lesanv), priñsez Kembre. 1987 : Evgeni Tomachevsky, mestrc'hoarier echedoù rusian. 1876 : Mic'hail Bakounin, anarkour rusian. 1885 : Hermann von Fehling, kimiour alaman. 1925 : Erik Satie, sonaozer ha c'hoarier piano. 1961 : Louis-Ferdinand Céline, skrivagner gallek. 1997 : Robert Mitchum, aktour amerikan. 2004 : Marlon Brando, aktour amerikan. Kemmoù diwezhañ degaset d'ar bajenn-mañ d'an 16 Eos 2018, da 16:43.